We caught up with Cavin Costello to inquire about the “Beadle Buddy” project in Phoenix. Originally built up by Al Beadly in the 1960s, the midcentury modern home fronted a serious need for renovation when a young family was struck by the home, wanting to make it their own. Cavin took on the challenge to restore the gorgeous one-story home with the idea to maintain its authentic radiance by enhancing original elements while removing the outdated parts. 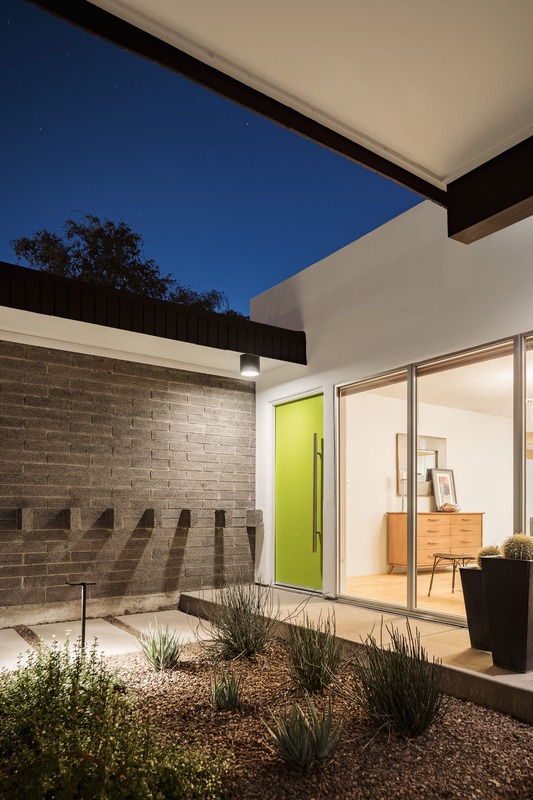 Pulling inspiration from The Desert Botanical Gardens in Phoenix and Palm Springs’ Sunnylands, the clever landscaping makes use of a variety of textures of plants to spread the midcentury homes presence outside the architectural frames of the construction. 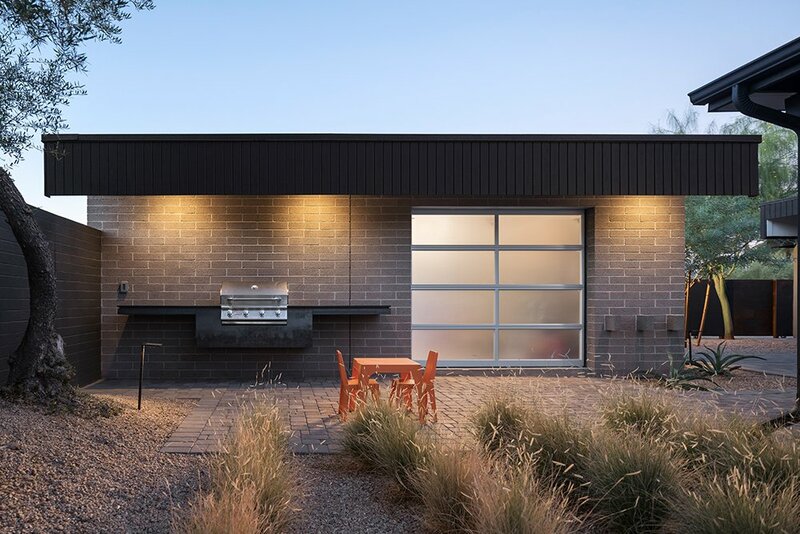 We delve into the challenges of midcentury modern home renovation, what makes these homes so attractive and the importance of human connection to the nature, among other things. Which part of a new project excites you the most? The meeting with the client when we present the design for the first time. There is a nervous excitement each time, showing them how their home, and really their lives, are going to change forever. The raw reactions we get during these meetings are beautiful and help keep us motivated to keep doing it everyday. In your opinion, what are the emerging trends in residential architecture that will shape our way of living in the next ten years? I think the overarching trend in residential architecture is bringing the house back to nature. I think it started with the midcentury modernists and has ramped up significantly in the past few decades with the rise of regional modernism. With the advances in science and building technology we are understanding more about our buildings. We are also exploring ways in which we can better connect with the outside world in a controlled manner that hopefully is beneficial for both. 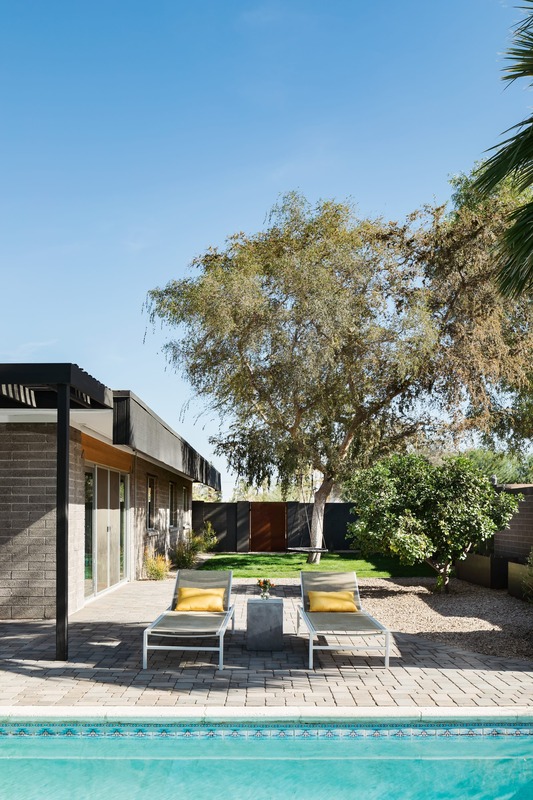 The “Beadle Buddy” project is the restoration of an original midcentury house designed by Al Beadle in Phoenix. Can you tell us a bit about the house itself? We were hired as the architect and landscape designer for the house. The house was originally designed by Al Beadle, and built in 1960. 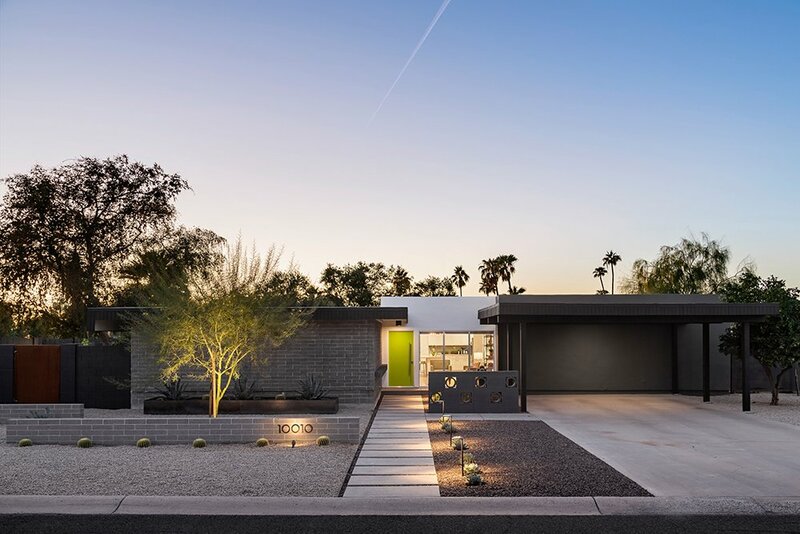 Al Beadle was a prolific architect working primarily in the international style in Phoenix. 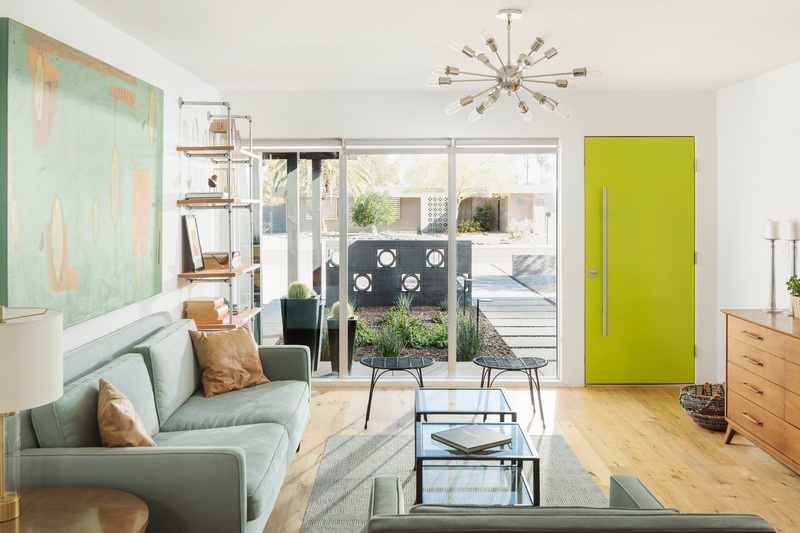 He designed the lone Case Study building to be built outside of California, Case Study Apartment #1 which is located in Phoenix. When our clients purchased the house, it was a bit of a mish mash, as a flipper had done some work to it removing some of the original midcentury character. Our clients purchased the home because they loved the neighborhood which features many of his designs, and because they saw the potential of what the house could be. What were your main objectives for this project? The first thing we look to do in any midcentury modern renovation is to identify the iconic original elements and find ways to accent them, play off them, and remove items added later that distract from them. For this house we wanted to accent the original block by sandblasting it and bringing it out into the landscape in the form of a low wall and using it for the new detached garage. 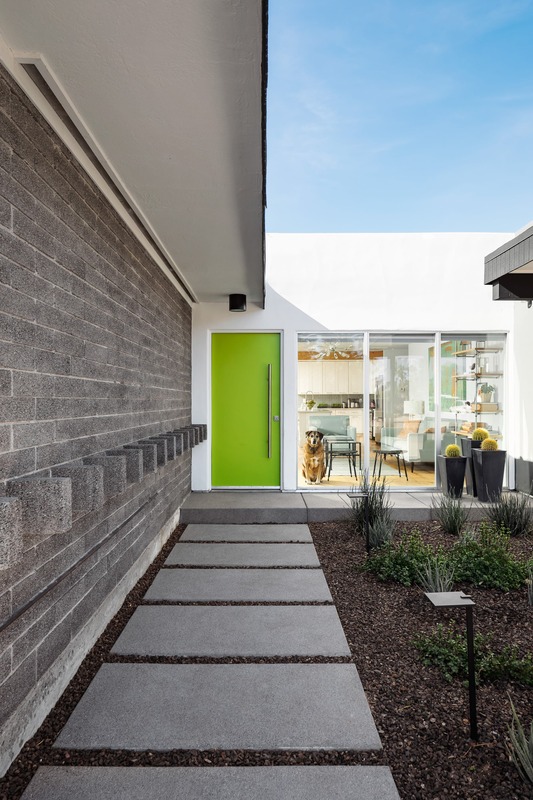 We used a dentil-esque block pattern from the original entry to define the area between the detached garage and main house, referencing it as an entry defining moment. We then played off this positive-negative block form for the new cor-ten steel property fence with Mexican Fencepost cacti in the negative spaces. The decorative Haver block was also a very obvious way to enhance the front entry’s look as nothing says mid mod like some breeze block. Midcentury houses are known to be challenging to renovate and many architects prefer to keep very little of the original structure. What were your challenges in this case? We kept the entire original structure and used the landscape and material choices to up the curb appeal while adding a detached building to provide the necessary space and storage the homeowners required. We find that if you can detach elements rather than tack on you can better keep the original integrity of the home, while still providing modern conveniences. We had a difficult time sourcing the Haver blocks and had to have them shipped in from Florida. Sandblasting the block on the new garage to match the original was difficult, but Identity Construction did a great job and it’s almost indistinguishable in texture. Which is your favourite feature of the house? My favorite feature of the original house is the dentil-esque blocks that protrude from the walls of the house. I love the design move because it’s so simple, but beautiful in the way that it works almost like a sundial during the day, casting a unique shadow everyday of the year. We played off of this to create the cor-ten steel fence around the perimeter, using the positive and negative and shadows to add interest to a simple, yet importantly durable material. If I’m correct, your wife Claire curated the landscaping. What is her advice for other midcentury house owners who want to make their gardens more “aligned” to the architecture? The front yard was very large, so finding ways to break it up that were low water and low maintenance but still beautiful and intriguing on a daily basis was difficult. Our solution was using a variety of textures such as the low sandblasted block wall that pulls the architecture out towards the street, the Haver block screen that forms an entry courtyard, the raised rusting steel planter that adds height to the landscape, stepping pads that create a rhythm from the street, and changing the color of the gravel to break up the monotony of a single material. All the plants that were chosen were thornless, kid friendly plants for the playing areas that would grow in the desert without much water. If you want to make your garden more aligned with your midcentury home, follow the lines of the original house. Midcentury homes typically have very strong lines in their architecture, so pull them out into the landscape. Also bring materials and textures from the building out into the landscape. This has the effect of a cohesive whole, and the extension into the landscape allows the home to live larger than its footprint. The Desert Botanical Gardens in Phoenix and Sunnylands in Palm Springs were great sources of inspiration and they have books that are available. In your opinion, why the midcentury aesthetic is still so popular today? Midcentury homes have strong, dynamic architecture which is easily legible to most people and doesn’t feel forced or added on. I think there is an honesty to that that people really enjoy. The second part is they started to connect the home to nature and the garden more. I think much of human history before it was defined by increasing the distance of the interior of the home from nature, becoming increasingly more stylized and disconnected from time and place and the midcentury movement flipped that and started to look outward rather than inward. 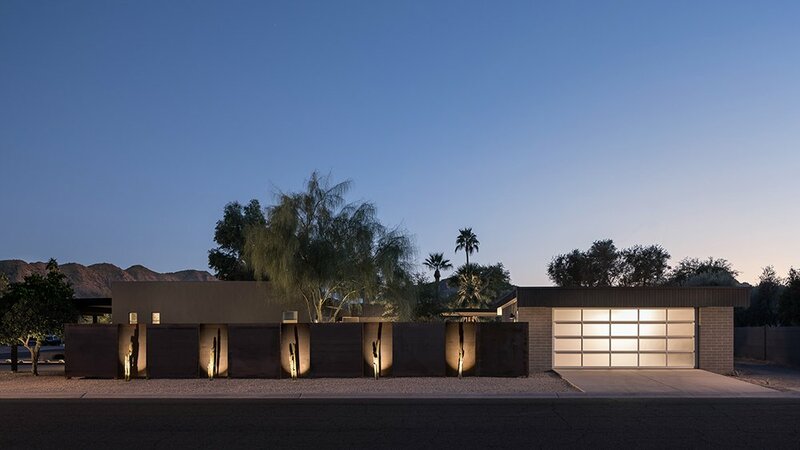 You and your wife are advocates for the Phoenix midcentury movement, what would you recommend to visit? I often feel like on a national scale Phoenix isn’t recognized enough for what it contributed to the midcentury modern movement in America. California is often, and rightly, propped up as the leader, but there was one place outside of California that contributed to the famous Case Study Program, and that was Phoenix, and Frank Llloyd did what I would say, is some of, if not his best, work here such as Taliesin West and the David and Gladys Wright House. Both of those I would highly recommend. I’d also recommend the work of Al Beadle, Ralph Haver, Bennie Gonzalez, Blaine Drake, and Frank Henry. The best source for finding places to visit is modernphoenix.net run by Alison King. 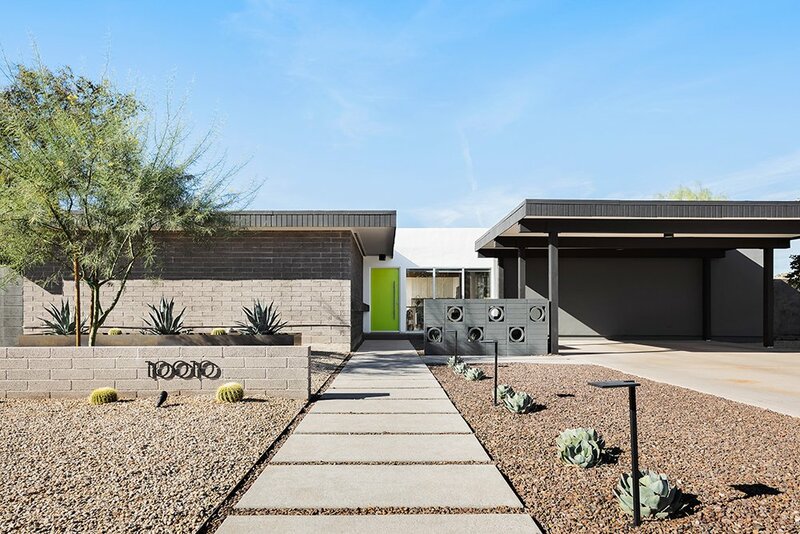 She does an amazing and priceless job of advocating and chronicling midcentury architecture in Phoenix. Last but not least, our readers love front doors like yours. Can you recommend a supplier in your area? The front door is just a slab steel door that was already on the house, but it was red. We painted it Dunn Edwards Lime Twist DEA124 to pull color from the desert plants we planted in the front courtyard. Sometimes the solution can be as simple as a smart paint choice and the choice of lever to open the door.